Panasonic MIR series cooled incubators accurately reproduce and control the wide range of environmental patterns necessary for biological and environmental studies. Three models of incubator are available, offering 123, 238 and 406 litre capacities. Each operates across a wide temperature range and has the flexibility to meet many different laboratory needs. One such application is their use in the incubation of the Drosophila melanogaster, or fruit fly. Drosophila melanogaster is a valuable organism in biological research and is widely used in the fields of genetics and developmental biology. The entire genome of the fruit fly was sequenced in 1998, and it is estimated that 61% of known human disease genes have a recognisable match in the genetic code. Furthermore, approximately 50% of fruit fly protein sequences have mammalian matches. 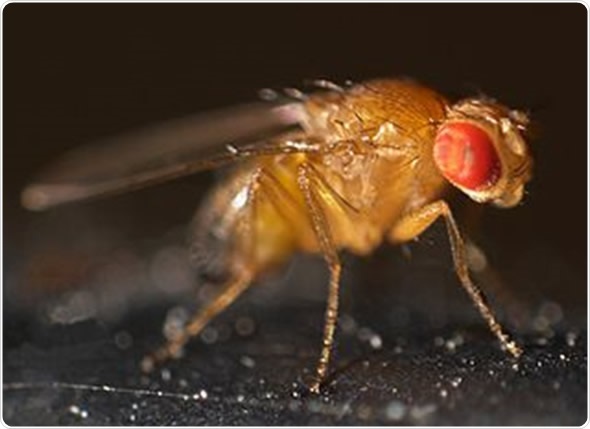 Drosophila is therefore being used as a genetic model for research into many human diseases, including Parkinson’s, Alzheimer’s, diabetes and cancer. The small, easy to grow fruit fly has become one of the most useful research organisms. A well designed incubator is essential in ensuring the health and viability of the flies for research applications. Panasonic MIR series incubators offer the ideal growth environment for fruit flies. The incubators primary benefits include high levels of temperature control and temperature uniformity, flexible programming and reliable alarm systems. Each model of MIR cooled Incubator operates over a temperature range that spans -10°C to +60°C while guaranteeing excellent temperature uniformity ( +/-0.5°C). This makes them ideally suited to applications that demand a variety of different temperatures. One example is the ‘revirginisation’ of inseminated female fruit flies which can be achieved through prolonged incubation at -10°C, yet the ideal growth temperature for these organisms is between 22-25°C. The ability of Panasonic cooled incubators to operate over a wide temperature range means that conditions for ‘revirginisation’ and for normal growth can be fulfilled in a single incubator. The incubators can be operated at a consistent, user-defined temperature. Their strength lies especially in the fact that they are also programmable, with the ability to shift between 12 different steps. As illustrated in figure 2, each programme can be set as a single event, or can be repeated for up to 98 times. (Is this the same as A continuous cycle can also be selected. This flexibility enables researchers to select several environmental parameters and patterns, as well as being able to cycle between temperatures without moving or disturbing any active samples. The incubators accommodate a range of diverse experimentation requirements, making them suitable both for everyday use and also for experiments running overnight or during holiday periods. In addition, the Panasonic MIR series can store up to 10 programmes for convenient retrieval and set-up of frequently run experiments. Individual programmes can also be combined using the ‘join’ function. Many research applications, including the incubation of Drosophila, are extremely sensitive to fluctuations in temperature. Large variations may be fatal to organisms or cell cultures, for example. High and low temperature alarms are therefore installed in MIR cooled Incubators, alerting the user to temperatures moving +/-2.5°C from the set point. Cultures are further safeguarded by over-heat protection, which turns off the heater if temperatures rise, allowing them to settle between 15°C and 55°C. Low temperature protection turns the compressor off if the incubator ever threatens to cool, setting the range between -15°C and 20°C. Panasonic MIR series incubators initially include a fluorescent light (15W x 1pc) equipped with an On-Off programmed timer control. An optional light addition kit (MIR-L15) can add three more fluorescent lights into the chamber ceiling, giving approximately 3000lx at 30 cm below the light sources. When incubating Drosophila and other plant and insect cultures, this allows users to achieve the light cycles required for successful growth and healthy colonies. Panasonic MIR cooled incubators have the flexibility to allow the generation of many different temperatures and environments using a single piece of equipment, while retaining the high levels of temperature control and culture security that the company is known for. When it comes to complex, regulated applications, users can be confident that their cultures will be protected in their optimum environments.